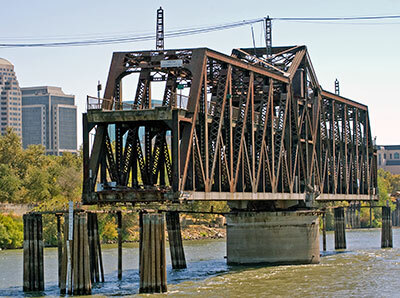 The I Street Bridge is steel truss bridge with fixed and swing spans. The 3,150 ton swing span is the heaviest in the United States and was the heaviest in the world when the bridge was built. 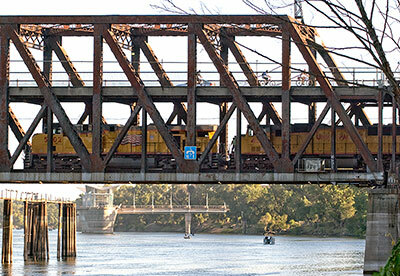 The upper deck of the bridge carries automobiles and the lower deck carries trains.